Extremely Fun is happy to contribute to active kids through all of its interactive inflatable offerings. We get your kids out in the sunshine and fresh air, jumping, bouncing and interacting with one another. Our sports bouncers take active engagement up a notch, and In addition to basketball in many of our inflatables, we offer custom creations that add obstacle courses, tall slides, dramatic drops, volleyball, soccer, dodge ball, and … wildly popular zip lines! Our structures are immaculately cleaned, maintained and routinely tested to ensure the safety and ultimate fun of each and every participant. What kid can resist these gigantic, colorful, themed creations at their next party or special event?! Extremely Fun offers the very best inflatable zip line rental and sport bounce house rental options so that you can have the most exciting and fun party! We strive to provide the greatest inflatables because everybody deserves to have the time of their life! We want every child and guest to not only smile at the idea of our inflatable zip line rental but also enjoy how much fun they can be for children and families! Once you order one of our inflatable zip line rental options, you won’t want to go to any other company for party rentals ever again! Our inflatable zip line rental and sports bounce houses are that much fun! There’s no more trusted, high quality company to order all of your zip line bounce house and sports bounce house rentals from than Extremely Fun in South Florida! With a variety of options to choose from and the best prices for inflatables, it’s not hard to see why people all over are excited about Extremely Fun! When it comes to ordering the best, widest variety of inflatables, Extremely Fun has a lot to offer. 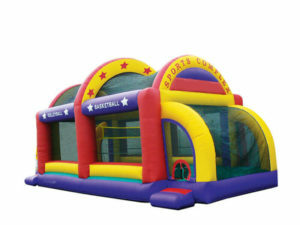 Our zip line bounce house rentals and sport bounce house rental options are perfect for anybody! 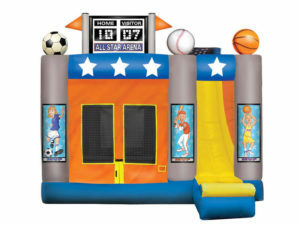 No matter what your preference is, these unique inflatables include something for everybody with a dunk tank, sports themed bounce house, amazon themed zip line rental, and more! At Extremely Fun, you can count on well-maintained inflatables being delivered and set up for your event. We want you to have the most glorious party all around, so we strive to keep each inflatable zip line rental and sport bounce house rental as clean as new! Your children’s safety is also important to us, which is why we make it a priority to properly inspect each bounce house prior to delivery. You can count on us for a successful delivery and set up so that you can have the most spectacular birthday ever! 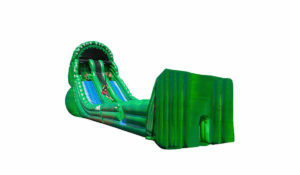 Another important benefit about our inflatables at Extremely Fun is that they are all extremely affordable. Everybody should be allowed to have a fun and fantastic birthday party, which is why we offer our inflatables at a fair price. 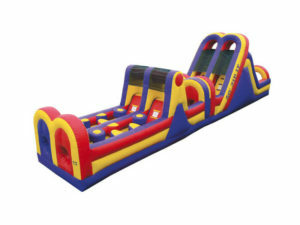 You won’t find better quality zip line bounce houses or sports bounce house rentals for as great a price as you will from Extremely Fun Bounce House and Waterslide Rentals! 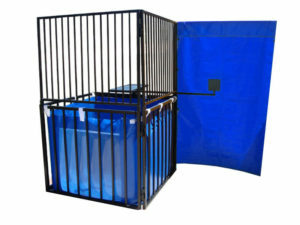 When you want to have the most fun and entertaining party, turn to Extremely Fun for our unique inflatable zip line rental and sport bounce house rental options! 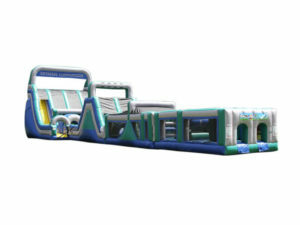 We have a party rental for everybody at Extremely Fun, so check out all of our inflatable options! Call us today at 954-300-3357 to reserve your inflatable.